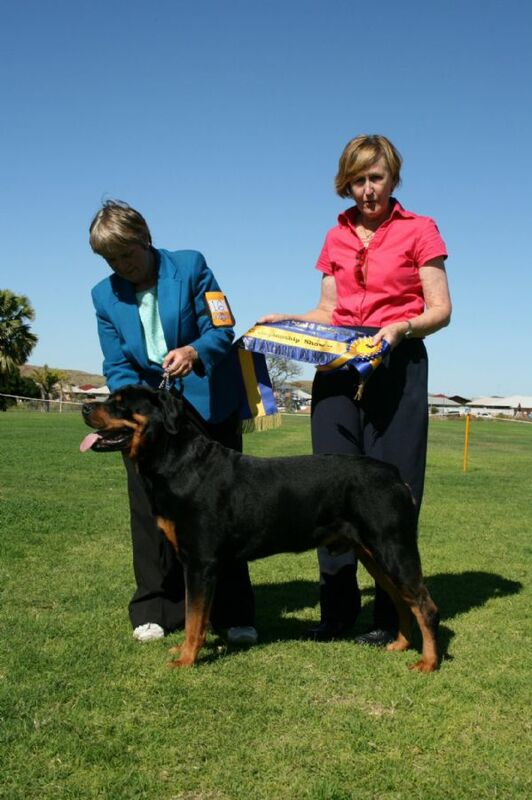 Tonka gained his championship title in 6 challenges (including 2 Best in Shows). 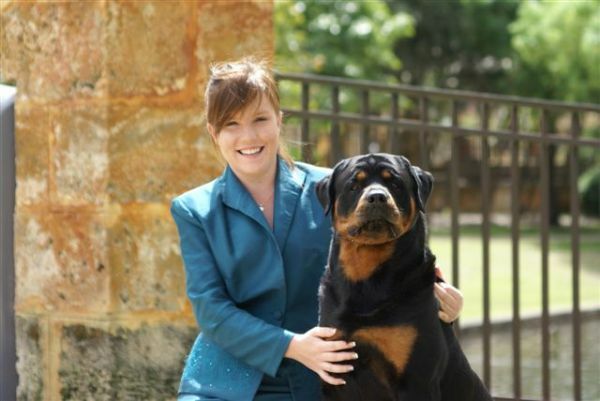 For most of his show career he was handled by Junior Handler winner Michelle Waterhouse (thank you Michelle). 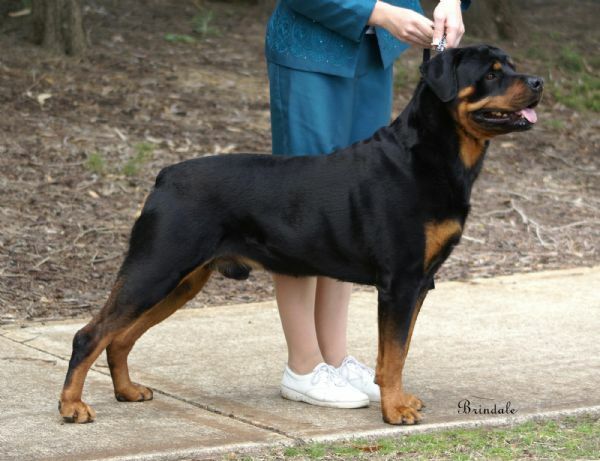 It is testament to Tonka's beautiful nature that as an adult male Rottweiler he could be handled by a 16 year old girl and trusted to never put a foot wrong. 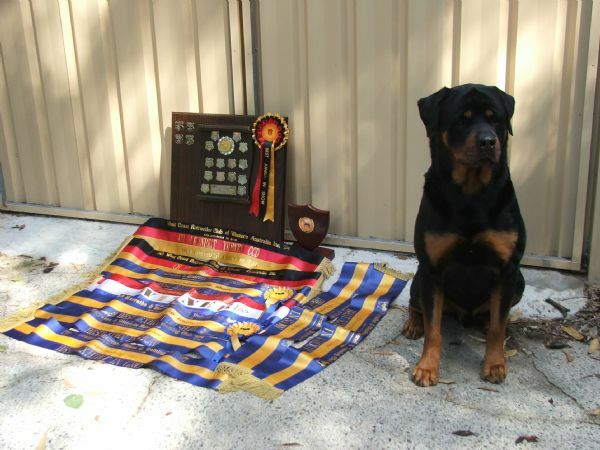 He was a winner of the WCRC Nell and John Minty Perpetual trophy for obedience and was top scoring Group 6 competitor at the National Obedience trials held in Perth. He was the dog of choice for exhibitors of all breeds who had a timid or nervous dog that needed friendly socialising with a "big dog". 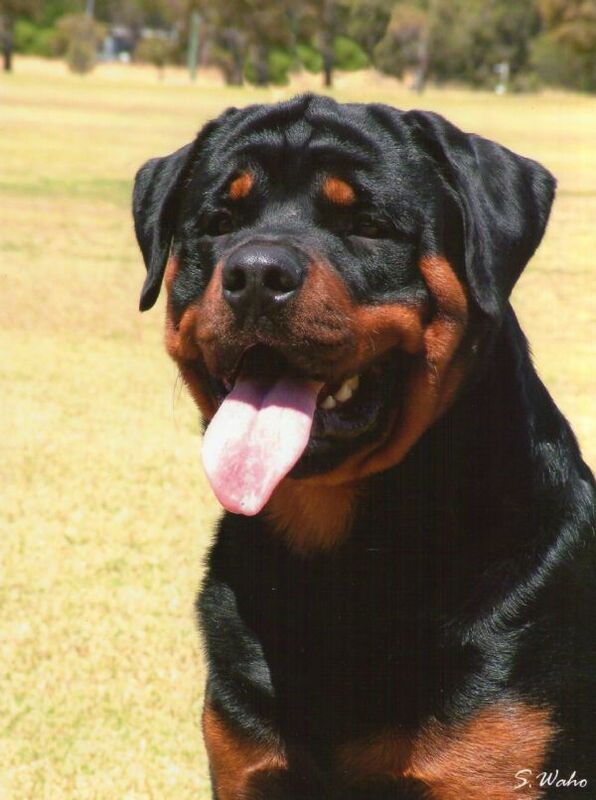 He was bitten many times on the face by fearful dogs during these socializing sessions but never once retaliated. He instinctively knew they needed gentleness not aggression. Tonka was the calm teddy bear when I needed sympathy, sitting next to me on the lounge chair and putting his head on my shoulder as if to say "I understand". 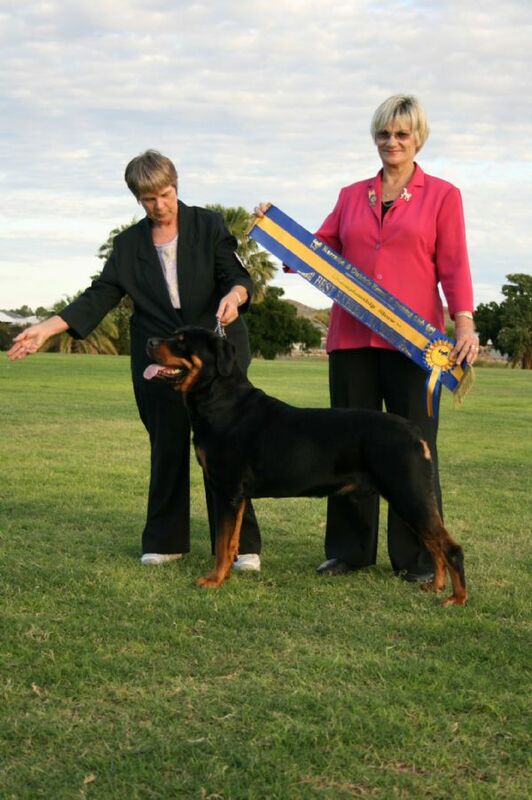 He also was the eager "let's do it" obedience dog in the trialling ring. Tonka was ready for CD and we were waiting for winter to start trialling. 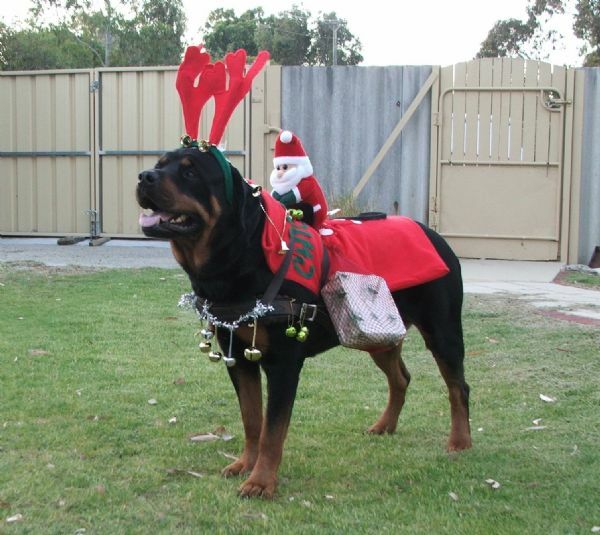 I'm certain he would have passed with flying colours, he loved to please! 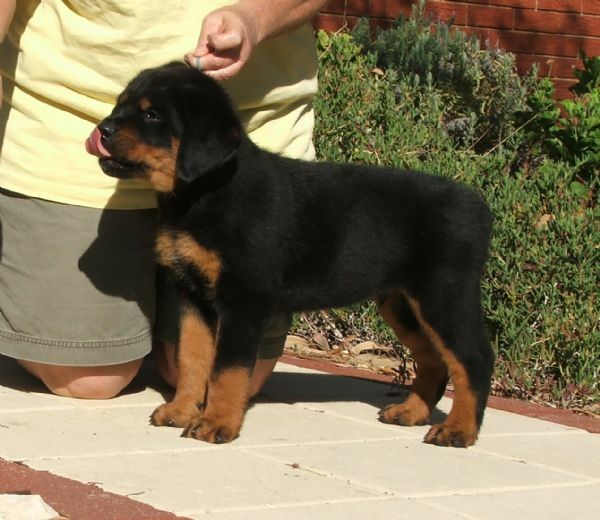 Tonka's name "Yurnvs" is a play on words, read as individual letters is "Why you are envious". And there was plenty to be envious about. He had the rare distinction of the coveted grade 0:0 in hips and 0:0 in elbows. He was "V" (excellent) graded at speciality level. And of course he was a natural bobtail. He will live on through his progeny and via a.i. 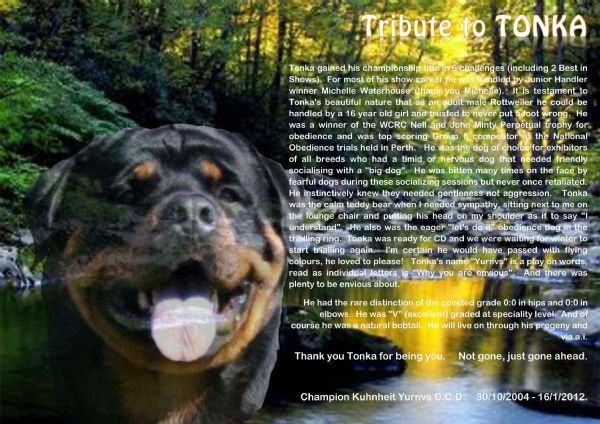 Thank you Tonka for being you. Not gone, just gone ahead. 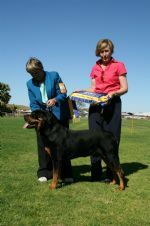 Champion Kuhnheit Yurnvs C.C.D. 30/10/2004 - 16/1/2012.